Whenever we talk about building up media lists for sending out your press releases, it can be easy to overlook some of the hardworking, influential journalists who can get you the coverage you so covet. Freelance journalists sell stories to papers, magazines, and online publications, so they don’t just work for one media outlet. For you, this represents an opportunity to have your story picked up in multiple publications, helping you get far more coverage than if you only targeted staff writers dedicated to one publication. One story could turn into several stories – Since freelancers aren’t tied to a single publication, they have the ability to spin their work into multiple stories that can be sold to multiple media outlets. So if they’re covering a big story involving your company, they could end up getting you coverage in several publications. Now that’s what I call a good return on your investment of time and effort into media outreach. Freelance journalists tend to cover all types of stories – Freelancers tend to be a lot more diverse in their work. This helps them land more gigs and make more money. So, whereas with staff reporters, you have to be very familiar with the type of stories they’re assigned to cover, with freelancers you have a bit more leeway with pitching your stories. That said, there are some freelance journalists who specialize in certain subject matter, so you still need to pay attention to this. 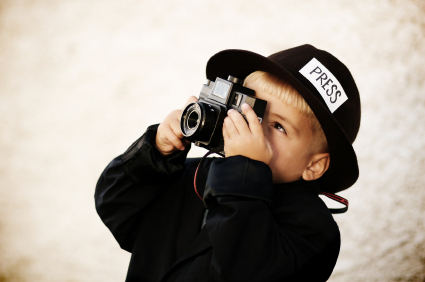 Freelancers are highly motivated to get their stories picked up – The freelance journalist’s very livelihood depends on him (or her) getting his work bought by the various media outlets. This means freelancers have the highest level of motivation to get their stories picked up…a fact that can work to your advantage as you’ll have a freelancer working hard on your behalf to get you coverage. Now that you know some of the reasons you should be targeting freelance journalists, you’re probably wondering where you can find them. Here are some easy tips to help you out. Check out the freelance journalist databases – There’s a handful of databases online with listings of freelance journalists divided up by category. Some of my favorites are JournalistDirectory.com, NUJ Freelance Directory, and the DWPub Freelance Database. Do a Google search – Spend a little time searching for phrases like “freelance journalist”, “freelance reporter”, “freelance writer”, and so on. Chances are, you’ll be able to find the websites of a large number of freelancers you could pitch to. Make sure you take a moment to read their portfolio to ensure the quality of their work and to make sure they’re likely to cover your type of story. Check out online freelance writer communities – Hang around on websites like FreelanceWriting.com and WritersWeekly so you can rub elbows with freelance journalists. JournoBiz is another good forum to check out. Do you reach out to freelance reporters? How do you go about doing it? Another tip: don’t ignore trade press or treat them as second-class citizens. A lot of PR agencies focus their energies on major consumer pubs (daily newspapers, wire services etc) with the expectation that of course the trade press will gratefully accept whatever crumb that comes to them. There’s a lot of resentment in the trade press about this all too common attitude – especially in medical, high tech and indusstry trade press. Their readers are smart, savvy, and are more likely to be your current or potential customers. The top tier trade press have editorial staff easily the equal of “real” journalists. At press conferences, I’ve seen how much these journos depend on the “expert” questions asked by the trade press. Articles I’ve written for the trade press have been referenced or used as background in pieces in the NYT, AP, Reuters etc. Ditto for many of my colleagues. But we still see the PR agencies falling all over themselves for the consumer press and arrogantly expecting the trade press to automatically run their releases. I know a few highly influential trade press editors who have tossed press releases because of this treatment. I never thought you could submit articles to freelance writers but why not? They’re looking for stories too. Thanks for reminding us!